When Colorado Governor John Hickenlooper was Denver Mayor John Hickenlooper, he learned that more lanes for cars don’t fix congestion — it just enables more cars to fill up the highway. Hickenlooper got the lesson in “induced demand” from all-star city planner Jeff Speck, the author of Walkable City, in 2004. Speck was in town for the Mayor’s Institute on City Design, a conference where planners shared knowledge with mayors about the basics of good urban design. The conference happened at around the same time Colorado DOT decided it wanted to widen I-70 in north Denver. “Mayor Hickenlooper was one of the star pupils,” says Speck. “He was a real delight to work with. In my talk, because I think it’s one of the most important things to understand, I went into great depth about induced demand, as I always do. He understood it, and we haven’t interacted at all since then. I’d rather be having this conversation with him but I’m not the type to reach out to a governor and try to get him to call me back. Today, Hickenlooper may be the only person who can stop his transportation agency from widening I-70 by four lanes. So far he’s kept his distance from the project, but he’ll have to intercede to prevent a mistake that would scar Denver for generations. Hickenlooper must be aware that widening I-70 won’t actually solve any problems. Instead, it’s going to burden the city with more traffic, just like the recent expansions of L.A.’s 405 Freeway or Houston’s Katy Freeway. 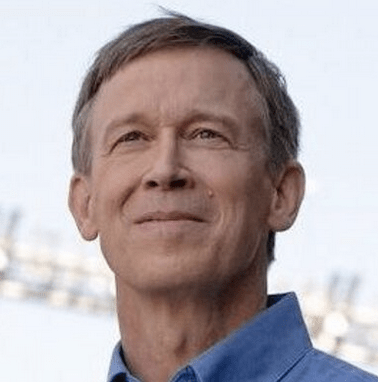 When Hickenlooper became governor, he inherited CDOT’s archaic plan. Speck says that it’s his responsibility to decide if he wants to invest in smart transportation modes, like transit, or driving, which comes at a much greater cost to society. When Hickenlooper was mayor, he championed the massive FasTracks transit expansion. Where is that fervent support of smart transportation policy now? Does the concept of induced demand apply to managed lanes? Because, IIRC, Turner and Duranton’s study didn’t look to see if a managed lane had the same demand characteristics as a general purpose lane- just that capacity expansion creates new drivers overall. Since Turner and Duranton advocate for congestion pricing as a means of managing congestion I think that this implies that induced demand does not apply to managed lanes in their view. So, let’s stop assuming that induced demand applies to managed lanes if there’s no studies to actually support such an argument, eh? Since the concept is that more capacity leads to more traffic and managed lanes qualify as more capacity, maybe you should lower your snark level a bit. Sorry, that still doesn’t mean that managed lanes behave the same way as general purpose lanes when it comes to induced demand. If you’re throttling your capacity via pricing incentives than drivers will either a) not drive at that time, b) sacrifice their time by sitting in traffic, or c) find another route. People simply don’t behave the same way when a commodity (travel) is free versus when you have to pay for it. They seek efficiency. Not saying that the rest of the I-70 rebuild would be excluded from the effects of induced demand, but the additional lanes might be. At a conference of urban planners, then-president of the Congress for a New Urbanism, John Norquist, called the Central 70 project “Breathtakingly Stupid,” and expressed hope that it would be defeated. I’ve talked with drivers who only use the “managed lanes” when the cost is being paid by the company for which they work. Sorry, but only those who can afford to speed down managed lanes benefit from those lanes! Payment for using managed lanes is only part of the cost. Even those who don’t drive them are paying through taxes at all levels and the loans that need to be paid back over 35 to 50 years!.